Massless particles; smartphone device for medical diagnostics; spintronic device. Princeton University researchers along with an international team have finally proved a massless particle that had been theorized for 85 years. They say this particle could give rise to faster and more efficient electronics because of its unusual ability to behave as matter and antimatter inside a crystal. Specifically, the researchers are reporting the first observation of Weyl fermions, which, if applied to next-generation electronics, could allow for a nearly free and efficient flow of electricity in electronics, and thus greater power, especially for computers. The researchers reminded that Weyl fermions were proposed by the mathematician and physicist Hermann Weyl in 1929, and have been long sought by scientists because they have been regarded as possible building blocks of other subatomic particles, and are even more basic than the ubiquitous, negative-charge carrying electron (when electrons are moving inside a crystal). Their basic nature means they could provide a much more stable and efficient transport of particles than electrons, which are the principle particle behind modern electronics. Unlike electrons, Weyl fermions are massless and possess a high degree of mobility; the particle’s spin is both in the same direction as its motion — which is known as being right-handed — and in the opposite direction in which it moves, or left-handed. M. Zahid Hasan, a Princeton professor of physics, led the research team. Enzyme-linked immunosorbant assay (ELISA) is a diagnostic tool that identifies antigens such as viruses and bacteria in blood samples that can detect a number of diseases, including HIV, West Nile virus and hepatitis B, and is widely used in hospitals. It can also be used to identify potential allergens in food, among other applications. Now, a team of researchers from the California NanoSystems Institute at UCLA has developed a mobile phone-based device that can read ELISA plates in the field with the same level of accuracy as the large machines normally found in clinical laboratories. The research was led by Aydogan Ozcan, associate director of the California NanoSystems Institute, along with Dino Di Carlo, professor of bioengineering, and Omai Garner, associate director of clinical microbiology for the UCLA Health System. UCLA undergraduate Brandon Berg was the study’s first author, and two other undergraduates also contributed to the research. 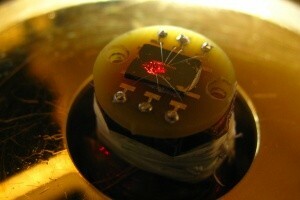 According to University of Pennsylvania researchers, by encoding information in photons via their spin, “photonic” computers could be orders of magnitude faster and efficient than their current-day counterparts. Likewise, encoding information in the spin of electrons, rather than just their quantity, could make “spintronic” computers with similar advantages. 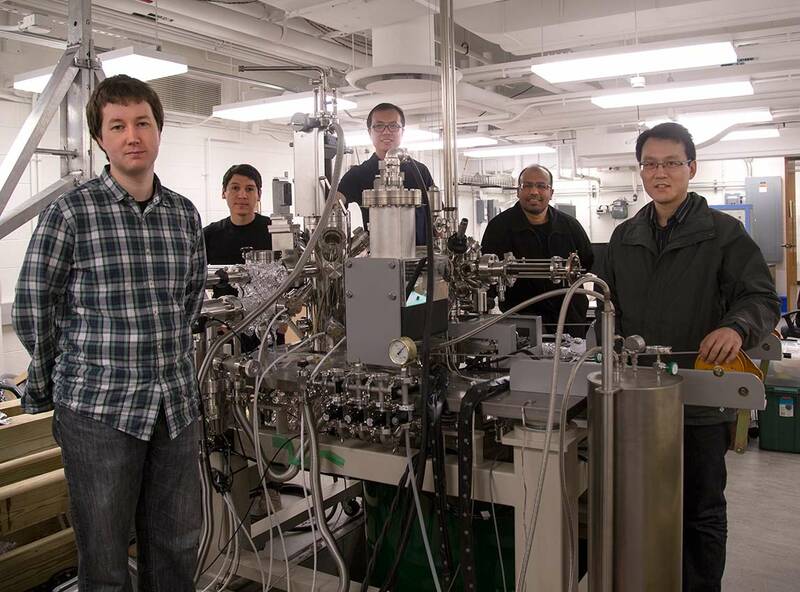 To this end, these researchers have discovered a property of silicon that combines aspects of all of these desirable qualities and have demonstrated a silicon-based photonic device that is sensitive to the spin of the photons in a laser shined on one of its electrodes. Light that is polarized clockwise causes current to flow in one direction, while counter-clockwise polarized light makes it flow in the other direction. They said this property was hiding in plain sight; it is a function of the geometric relationship between the pattern of atoms on the surface of silicon nanowires and how electrodes placed on those wires intersect them. The interaction between the semiconducting silicon and the metallic electrodes produces an electric field at an angle that breaks the mirror symmetry that silicon typically exhibits. This chiral property is what sends electrons in one direction or the other down the nanowire depending on the polarity of the light that hits the electrodes.